Netherlands based superyacht builder Heesen released a significant update about its 50m project Ayla this week, announcing the successful joining of the hull and superstructure at the shipyard in Oss. According to the press release from Heesen, project Ayla is a semi-displacement build with aluminum hull and superstructure. The yacht will be powered by twin MTU engines with a transoceanic range of 3200 miles at a cruise speed of 11 knots with a maximum speed of 23 knots. Project Ayla also features a six cabin layout with accommodation for 12 guests. Heesen’s press release states the yacht’s interior, designed by Cristiano Gatto has the most internal volume possible in the under 500 gross ton category. Complimenting the interior living space is a vast selection of outdoor lounge areas for guests to enjoy including a 70 square meter sundeck complete with jacuzzi and full service bar. 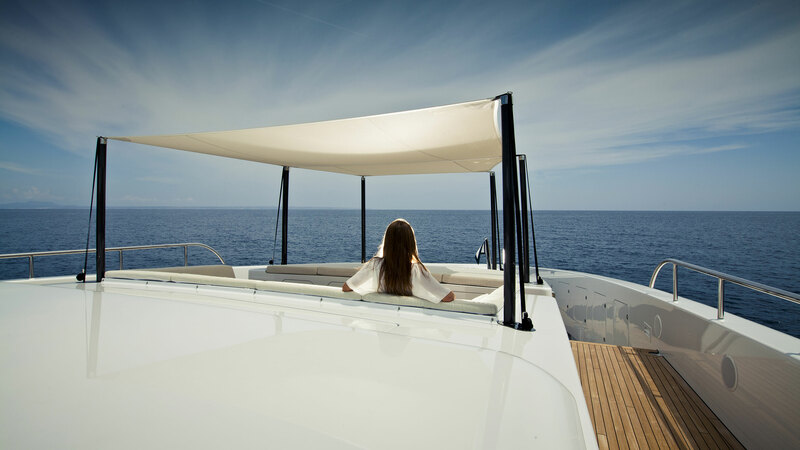 Between the indoor and outdoor living space options there are four al-fresco dining options according to Heesen. Project Ayla will be available for delivery in April 2018.